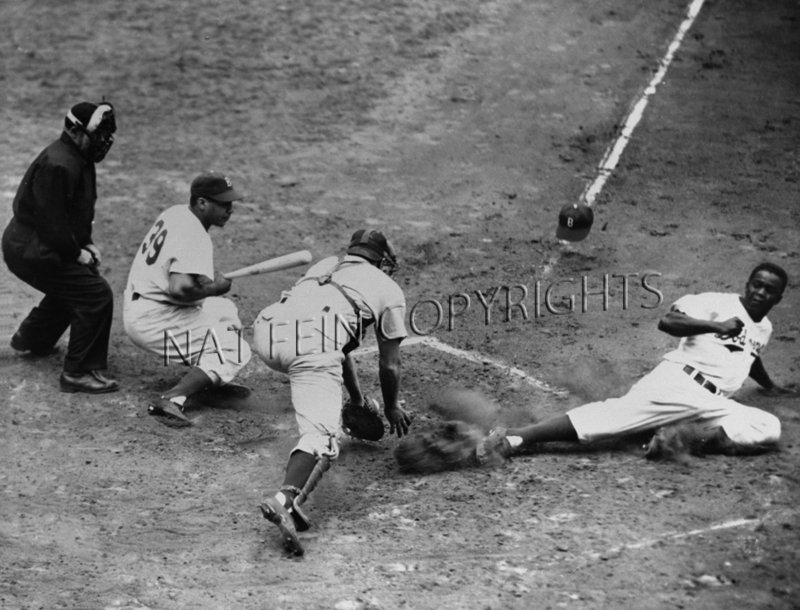 Jackie Robinson steals home against Cincinnati. Dodgers running a triple steal at Ebbets Field. Walker Cooper (Reds catcher) bends over to handle the ball. Jackie scores and Dodgers go on to win 7 - 6 in ten innings.